Sem Flores Nem Coroas, a play in three acts, takes place on the night of the end of Portuguese rule in Goa, in 1961, in the house of a family grieving for the death of Leopoldina, Salu’s elder sister and adoptive mother to Bostu. Salu is a batcar (landlord) who hides a secret from his family. Leopoldina gives away her lands to Salu and curses him by saying that the lands are extremely fertile, rich in ore, and that she exchanges a fertile land for his infertility. From the very beginning, the clash between opposing ideas that is ripping the family apart dominates the play and is materialised in the characters Salu and Bostu — they represent the old versus the new; the dead versus the living; the past versus the future. Such symbolism sets the tone of the play and can be seen even in the narrative procedures Orlando da Costa employs…. Rs 200 in Goa. Elsewhere p&p extra. Hb. 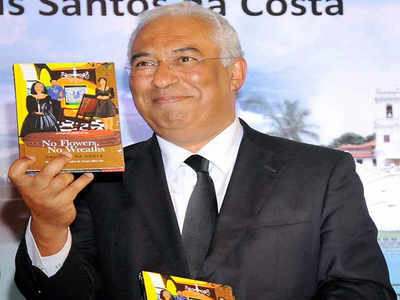 Portugese PM Antonio Costa releases an English version of his father’s book at a function in Panaji. PANAJI: Portugal Prime Minister Antonio Costa said his visit to Goa, besides being an official one, was a very emotional and personal one as well. 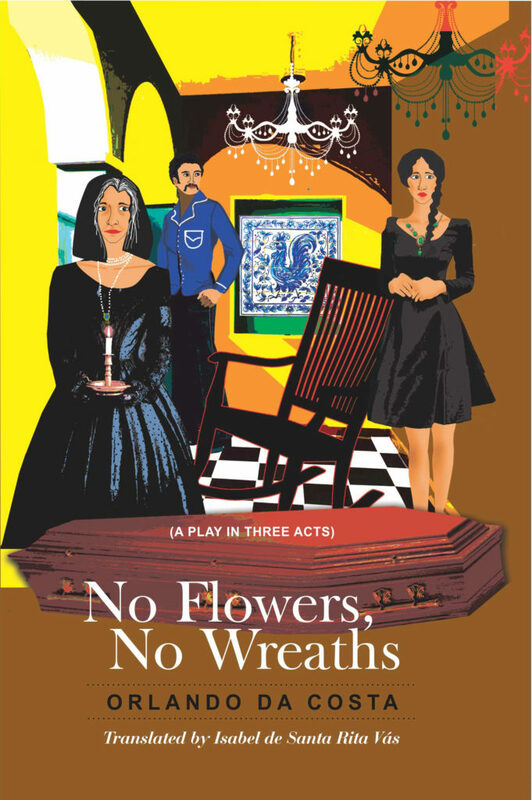 ‘No Flowers No Wreaths’, the English translation of his father Orlando da Costa‘s play in three acts ‘Sem Flores Nem Coroas’, is set on the night of the end of Portuguese rule in Goa in 1961. It has been translated by Isabel de Santa Rita Vas and published by Goa 1556. Costa said it was his father’s passion for Portuguese literature that took him to Lisbon. He studied at the University there and not in Mumbai where his father wanted him to. “From that moment my father made the Portuguese language is own. My father never left Goa because Goa never left him. The novels he wrote, from ‘O Signo da Ira’ to ‘O Ultimo Olhar de Manu Miranda’, Goa was always present in his work. In Konkani, he only taught me two wordsBabush and Babulo. My father used these when he talked to me and my brother. We also got the scent of the beedi he smoked and the taste of sorpotel,” he said. “Wherever I go or wherever I’m taken to I will always be in my homeland,” he said, quoting from the book. The Sign of Wrath, the English translation of ‘O Signo da Ira’ considered Orlando da Costa’s magnum opus was presented to Antonio da Costa early this week by Prime Minister Narendra Modi.